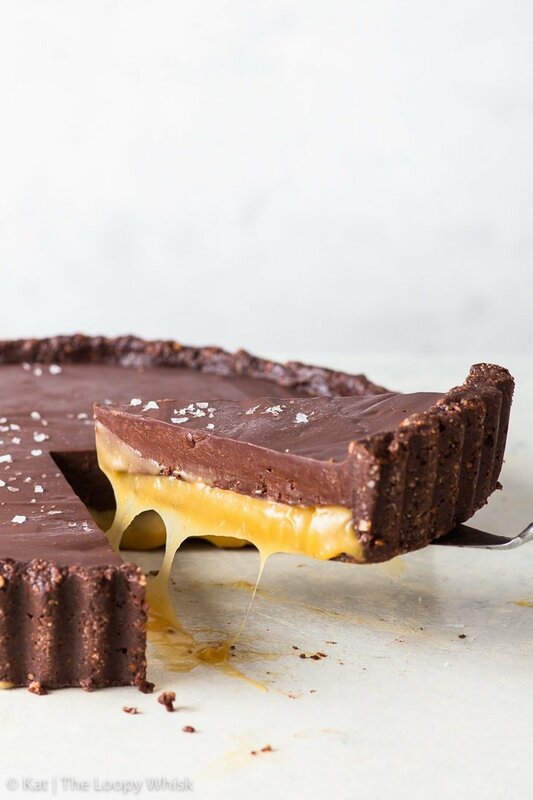 This vegan salted caramel chocolate tart is everything delicious and decadent. 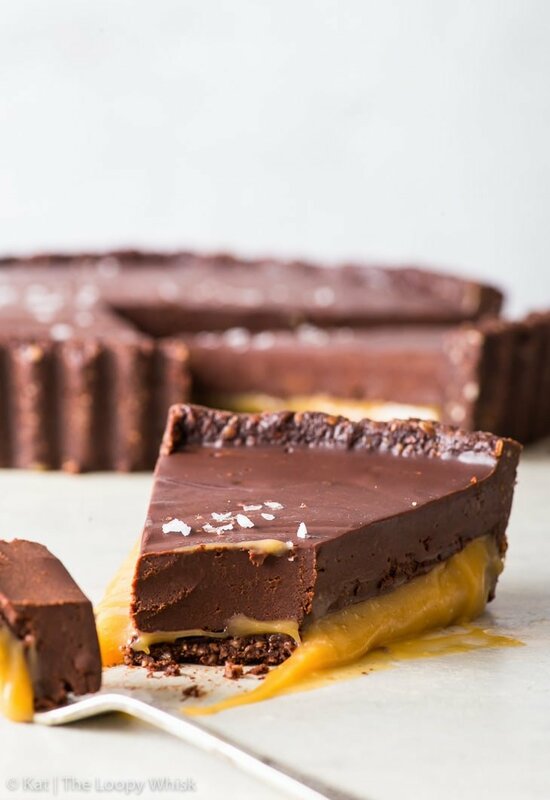 With a crunchy almond + chocolate crust, a layer of luscious salted caramel and the most luxurious chocolate ganache, it’s hands down one of the best vegan desserts. Ever. Caramel. Chocolate. A pinch of salt. We talking big bold flavours and textures today. 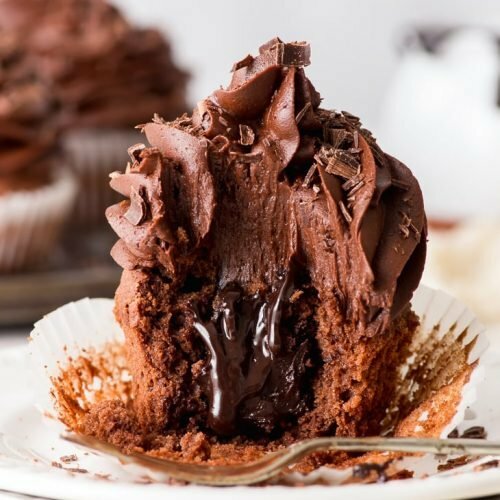 The smooth, luscious decadence of a dark chocolate ganache. The salty-sweet playfulness of a luxurious salted caramel sauce, that makes your tastebuds tingle and dance. 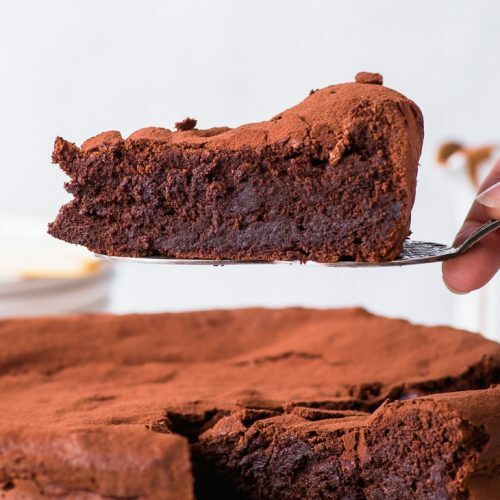 The crunch of an almond and chocolate crust, so easy to bring together and yet so effective in its deliciousness. This salted caramel chocolate tart walks the line between rustic and elegant, and does it effortlessly. 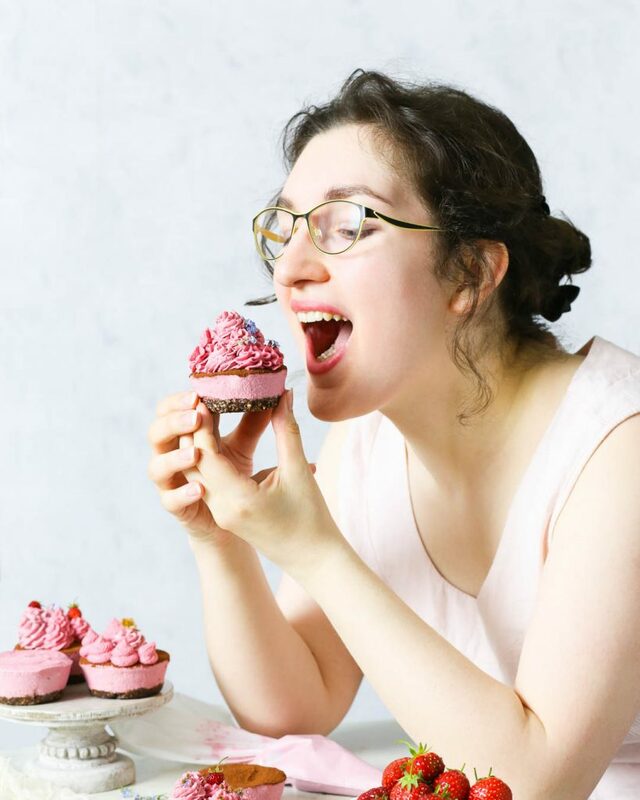 I might be a tiny bit in love with it – and as far as food crushes go, this one is perfectly understandable. And it’s vegan. Which some may still believe makes it somehow less delicious and less decadent and less delightful… but we know better, don’t we? The crunchy crust is a delicious mix of ground almonds, almond flour, cocoa powder, maple syrup, coconut oil and chocolate. 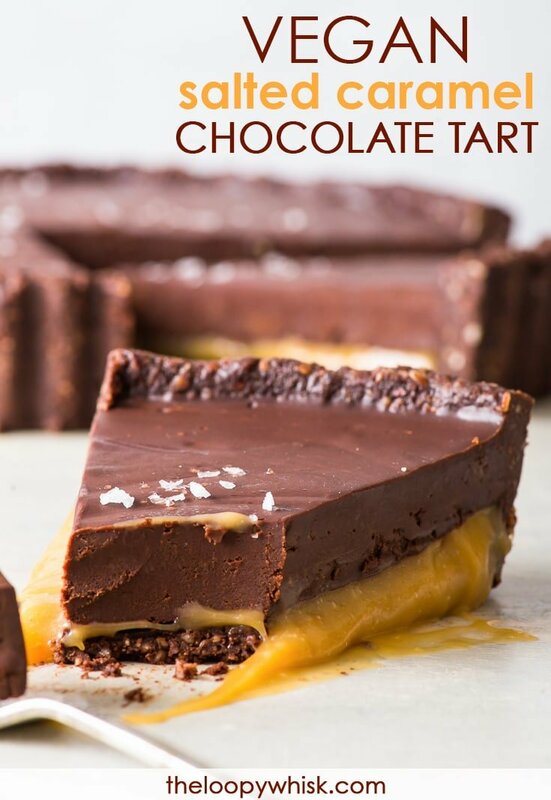 With a beginning like that, this vegan caramel chocolate tart can be nothing short of amazing. It only gets better though, with Nature’s Charm coconut salted caramel sauce. Oh my, here’s another thing I could eat by the spoonful – it’s coconutty and sweet and just salty enough. And, of course, dairy free and vegan. 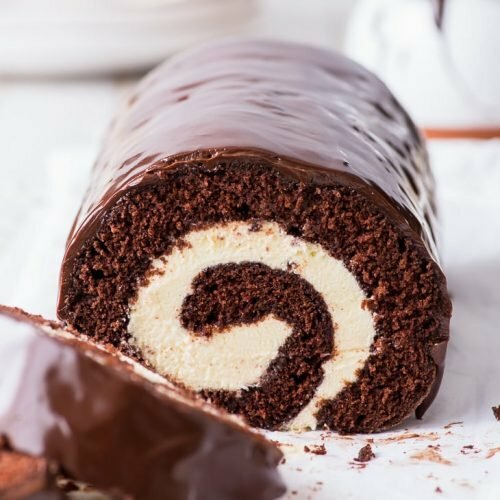 Usually, I’m a firm believer in making everything 100% from scratch, but this is one shortcut I welcome with open arms and a spoon at the ready. 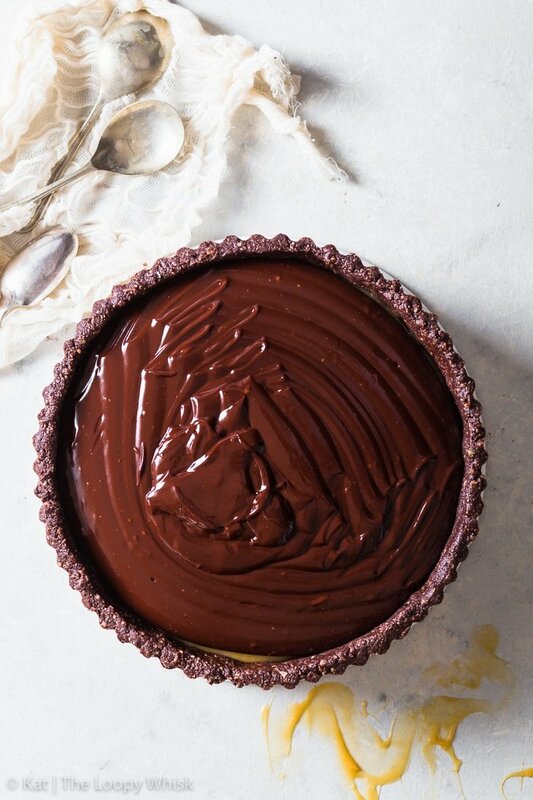 As the final layer of this delicious vegan dessert: a vegan dark chocolate ganache that’s somewhere between a chocolate fudge sauce and the traditional chocolate ganache. 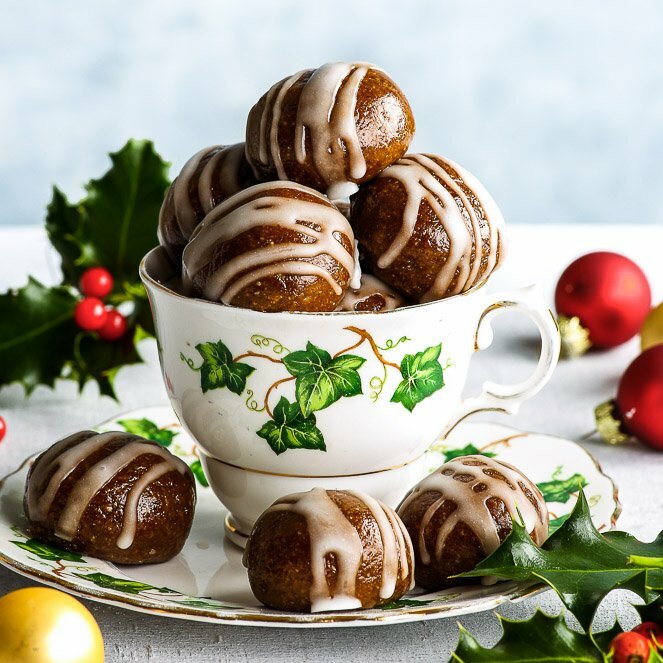 It’s made by heating together dark chocolate, cocoa powder, coconut cream, a tablespoon or two of the coconut salted caramel sauce, and an extra pinch of salt for good measure – until it’s so luscious and glossy you just want to swim in it (and, well… eat it all). 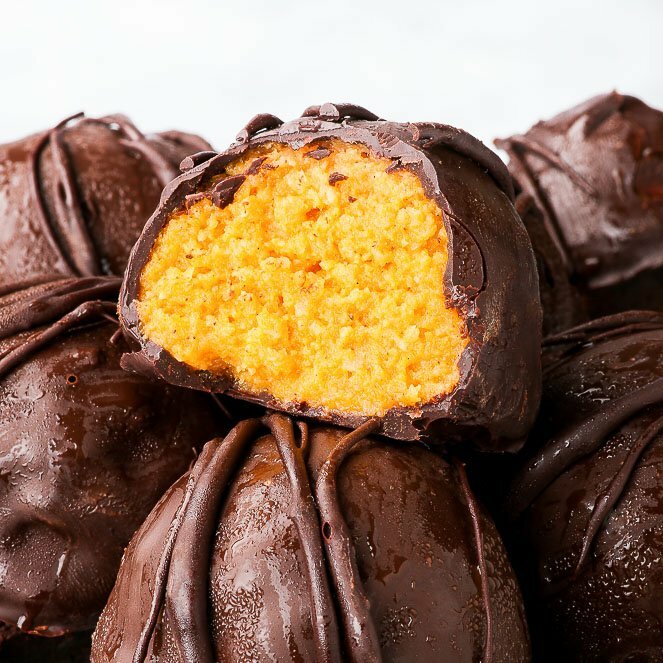 The ganache sets beautifully, while still retaining that magical melt-in-the-mouth texture we know and love and dream about. Together, all the elements of this caramel chocolate tart – the crust and the salted caramel sauce and the chocolate ganache – they combine to create one of the best vegan desserts I’ve ever tasted. And that’s saying something. 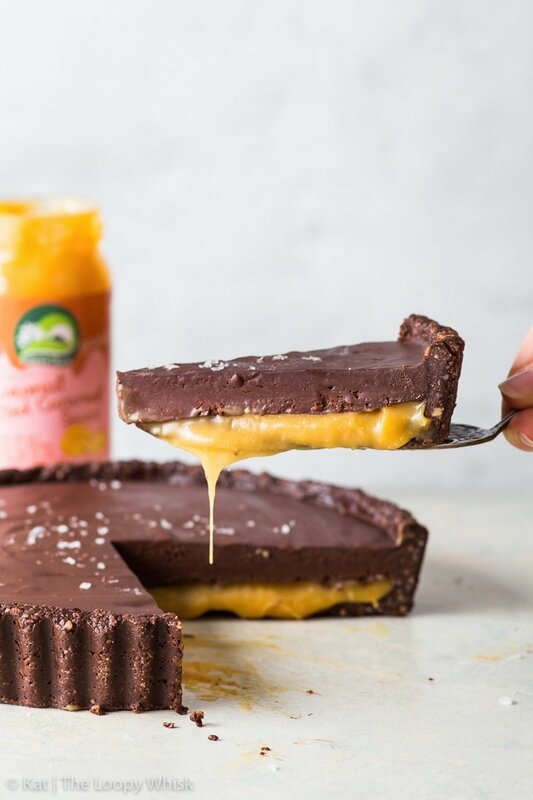 What’s better, even with its dreamy taste and texture… this vegan tart is ridiculously easy to make. Truly, it doesn’t get much simpler (or more delicious) than this. So go on then. Whatcha waiting for? 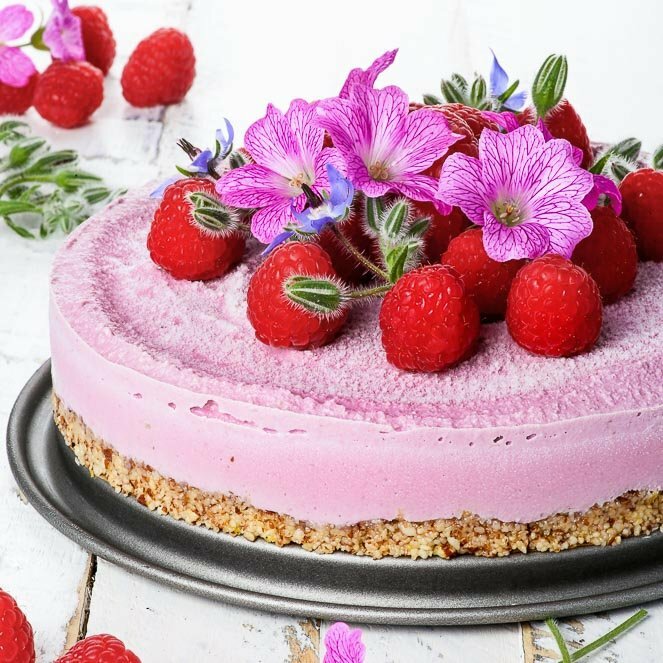 Get a 9 inch (23 cm) loose base tart tin ready to have on hand. If the crust mixture feels too sticky/wet, add more almond flour. If it's too crumbly, add more coconut oil or maple syrup. 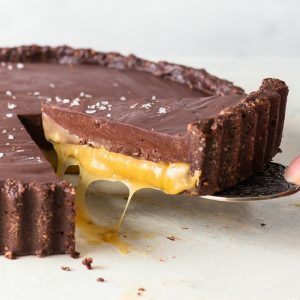 Press the crust mixture into the loose base tart tin, so that it forms an even layer on the base and up the sides – make sure it's snug with the tin sides. Refrigerate for at least 1 hour or until firmed up. 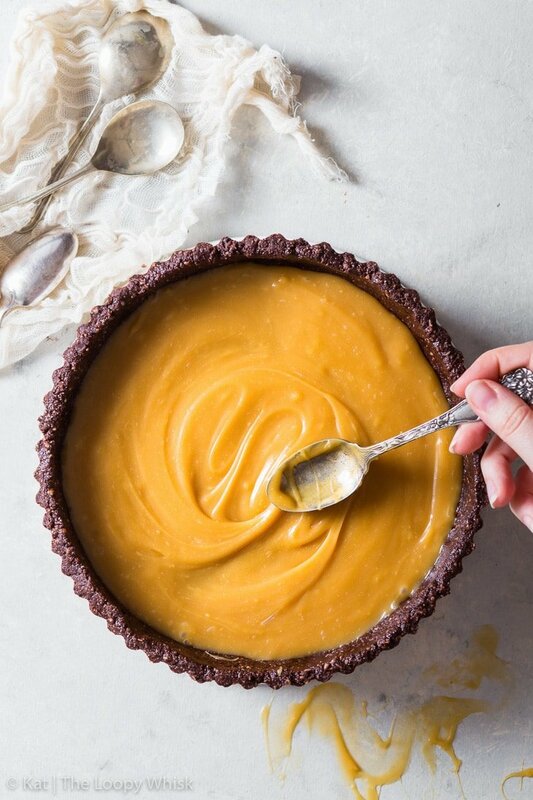 Gently remove the tart shell from the tart tin by lifting up the loose base. 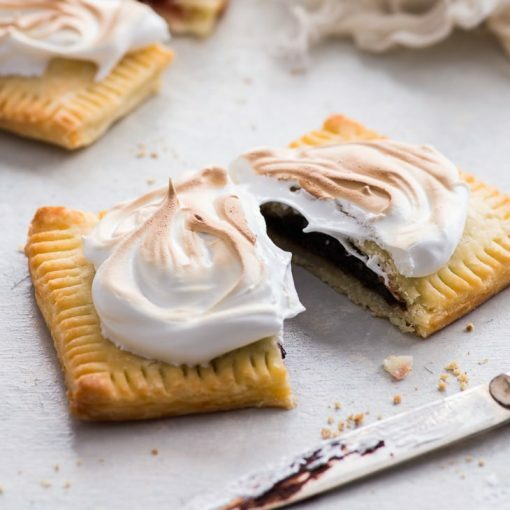 You may need to gently warm the sides of the tin with your hands to help loosen up the tart shell. 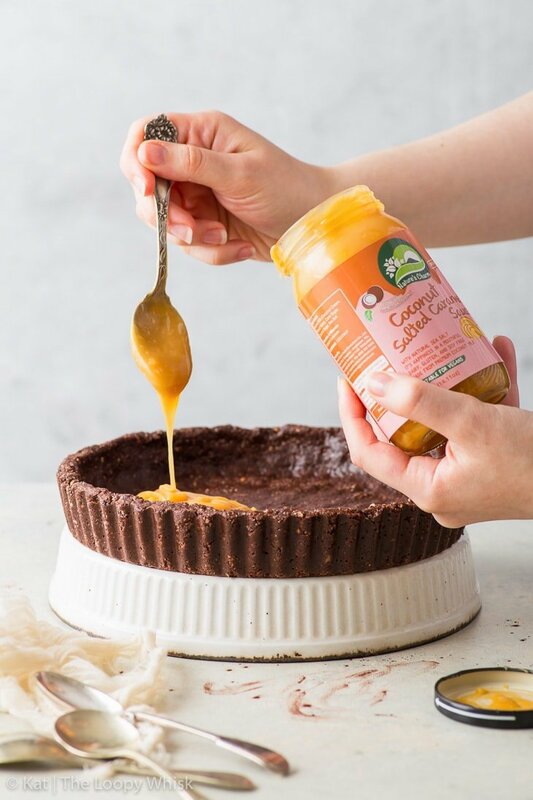 Spread the vegan coconut salted caramel sauce into an even layer on the bottom of the tart shell. 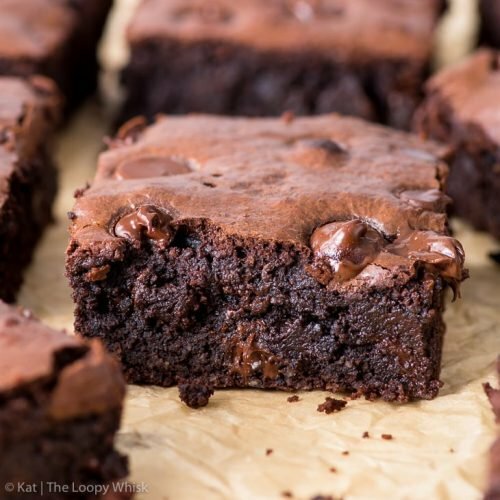 Combine all vegan chocolate ganache ingredients in a saucepan, and heat them on medium-low heat until the chocolate has melted and you get a smooth, glossy mixture. Allow to cool slightly (until warm). 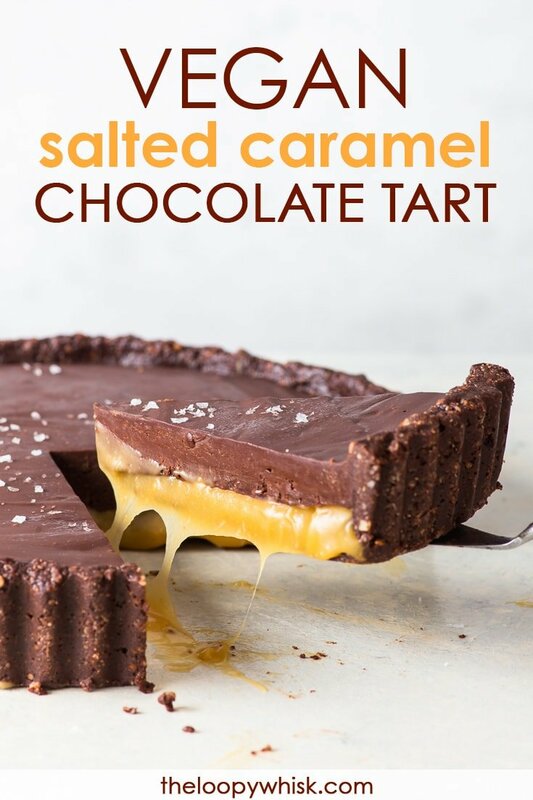 Pour the ganache over the salted caramel layer, smooth out the top and refrigerate for at least 4 hours or preferably overnight, so that the ganache has time to set. Serve straight out of the fridge (or allow to come to room temperature by removing it from the fridge 5 to 10 minutes before serving), with a sprinkling of sea salt. 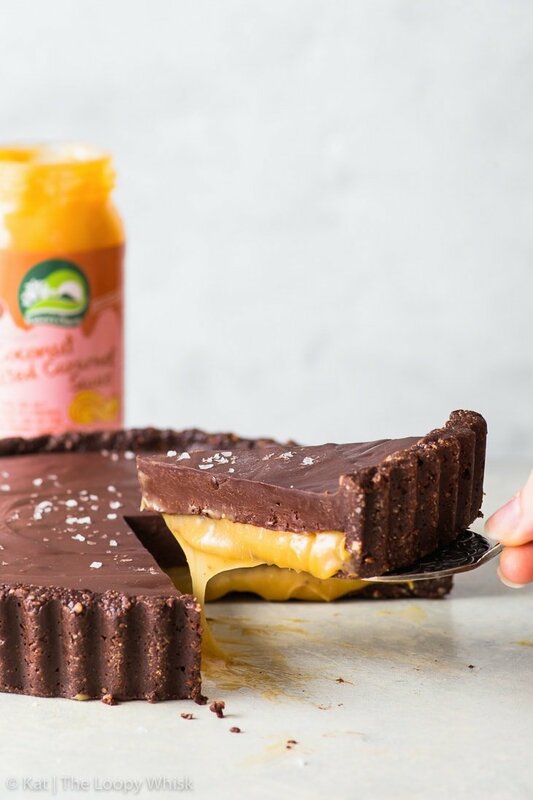 The vegan salted caramel chocolate tart keeps well in a closed container or covered in cling film in the fridge for about 1 week. 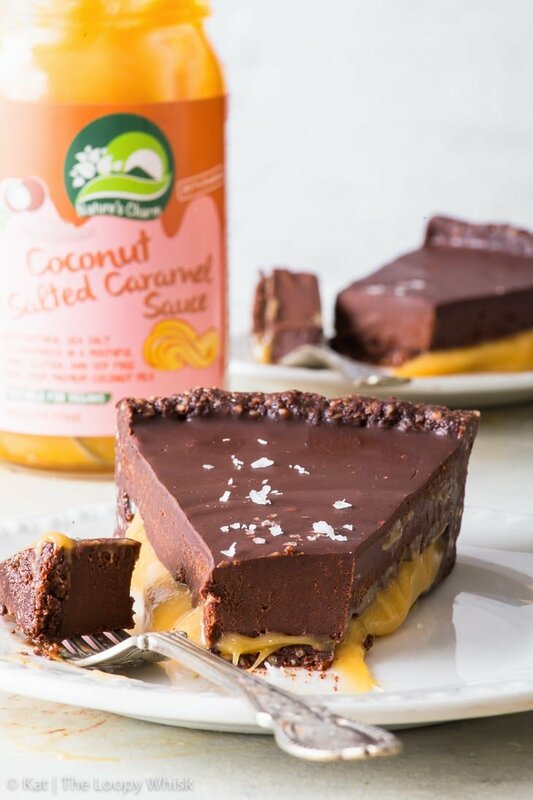 Note 1: I really recommend the Nature's Charm coconut salted caramel sauce – it's amazing!